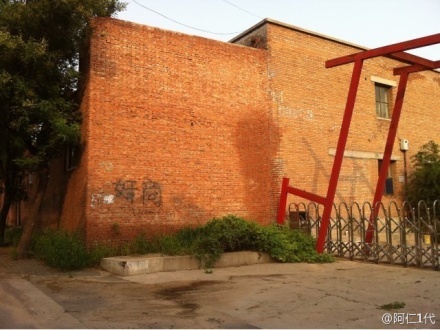 BEIJING — Photographer and installation artist Wu Yuren (吴玉仁), who Hyperallergic profiled last year for his activist work, has returned after a year to visit the 008 and Zhengyang arts districts, both the sites of a heated battle between the arts community and local developers and police officials. In recent months, Wu found himself in a growing confrontation with developers and police over the future of the art district known as 008. 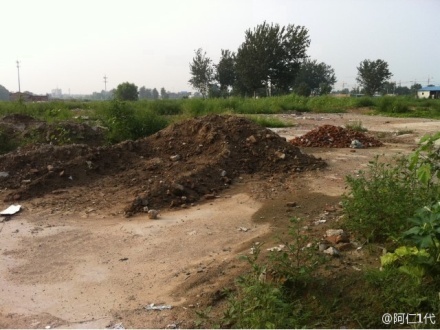 In February, he was among a small group of artists who were beaten up by what they later described as a hundred masked men swinging iron rods, who had been sent, they assumed, by developers seeking to clear the area for a large-scale residential project. (This image, bizarre as it sounds, is not unheard of.) When the artists failed to get police to respond, Wu and the artists took the unusual step of staging a small protest down Chang’an Avenue, in the politically sacred heart of the capital. One need only witness the history of arts neighborhoods in New York, like SoHo, DUMBO and Williamsburg, to know that artists always struggle against urban development, regardless of the country. But the thuggery alleged above was just the beginning of the troubles for Wu, known affectionately as “Da Wu” amongst his circle (it means “Great Wu” or “Big Wu”). 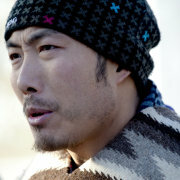 Last summer, some time after staging the protest on Chang An Blvd., he was arrested, beaten and jailed. After much campaigning by his wife, Canadian Karen Patterson, and an outpouring of international support, he was eventually released on parole on April 3, 2011. I smoked half a pack of cigarettes by myself on the ruins. 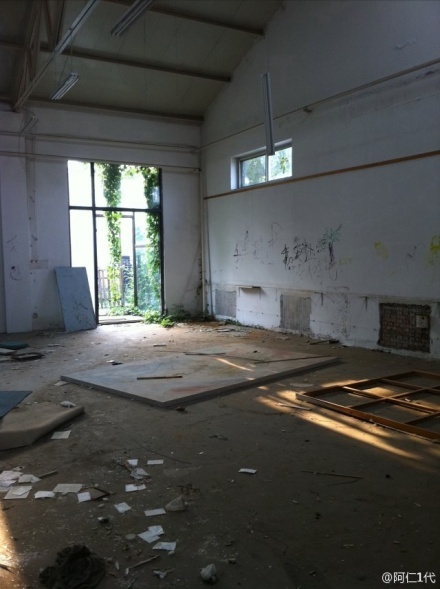 This was once a place of life, creativity and struggle. It still sheds blood. I am saddened. 路过原008艺术区，进去看看 — Passing through the former 008 Arts District. Going in to take a look. 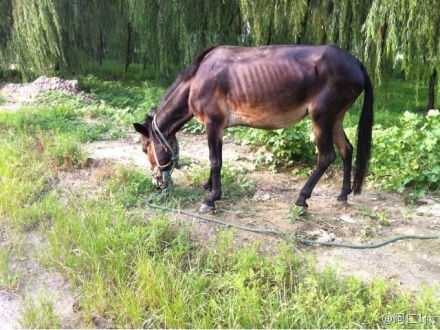 路边一老马 — An old horse on the side of the road. 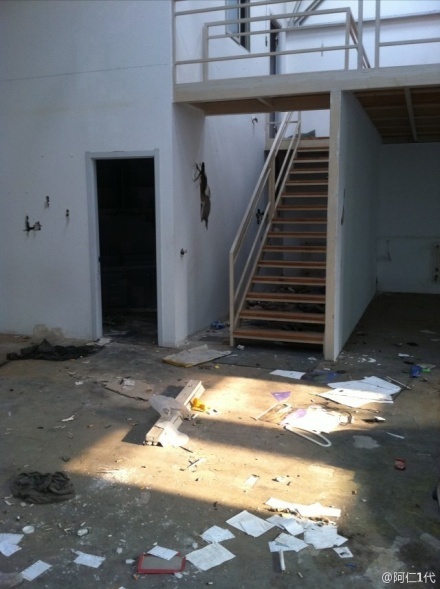 008艺术区成了废墟 — 008 Arts District has become [a field of] ruins. 局部尚未拆的空院 — A local courtyard that hasn’t been taken down yet. 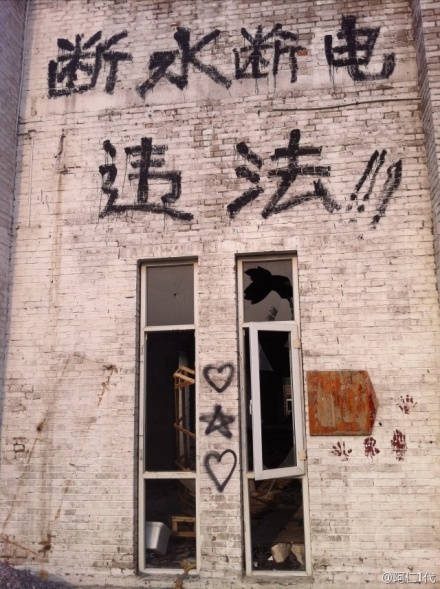 ——— Note: The Chinese graffiti reads jianshang (奸商: sharks). 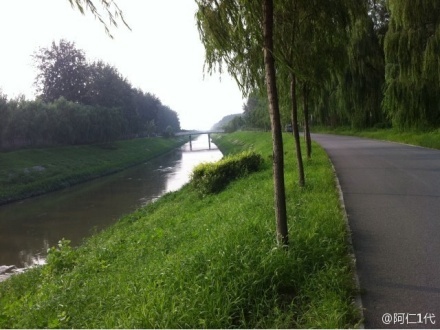 繁华的路口已不复往日光景，这废墟上每一块砖都铭记着09年那个残酷的冬天的抗争。— The flourishing intersection has not returned to its former circumstances. Every brick on these ruins carries the memories of the cruel winter resistance of ’09. 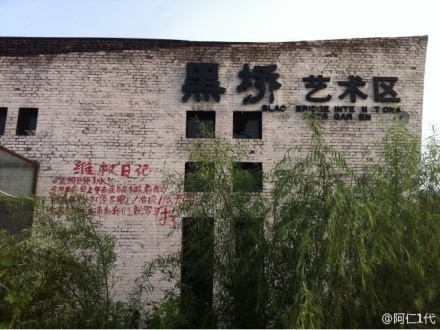 看来黑桥艺术区斗争也很激烈 — Appears that the struggle at Black Bridge Arts District was also intense. 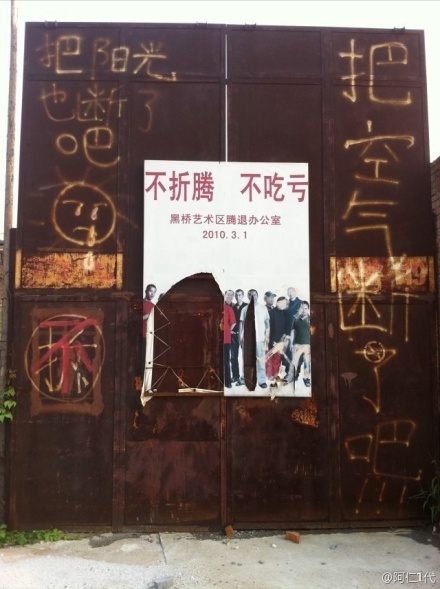 黑桥艺术区抗争遗址 — Black Bridge Arts District resistance ruins. 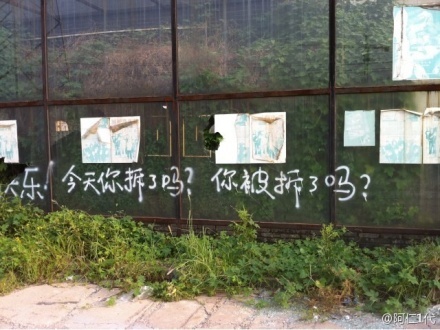 ——— Note: The Chinese reads: Did you tear down [anything] today? Were you torn down today? 抗争遗址 — Resistance ruins. ——— Note: The Chinese reads: “Cut off the sunshine too” and “Cut off the air!!! 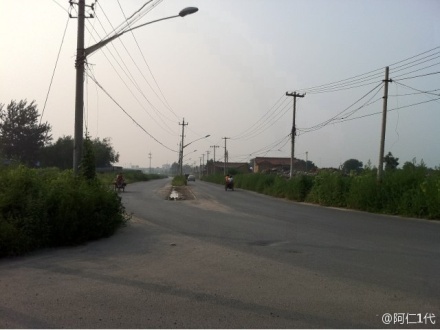 !”, referring to the practice of cutting off the water and electricity while the residents were still present. The word “no” is also scrawled over the word for “demolition”. 抗争遗址 — Resistance ruins. ——— Chinese: Cut the water. Cut the power. Illegal!!!! 政府换届的标语，给谁看呢? 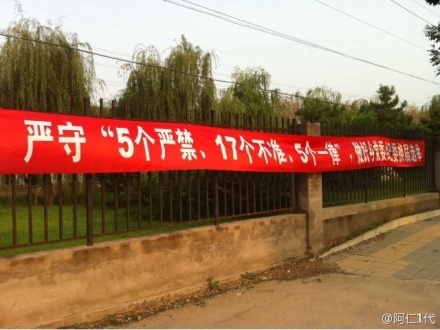 — A government re-election banner. Who’s going to see it? ——— The Chinese banner refers to anti-corruption practices in local governance, including ordinances against bribery, buying seats, etc. At the village level, many governments are nominally elected (read more on that subject here). I asked one artist friend who used to frequent the area what the elections were like, and I was told it was like “pushing the boat as the water goes” (顺水推舟).